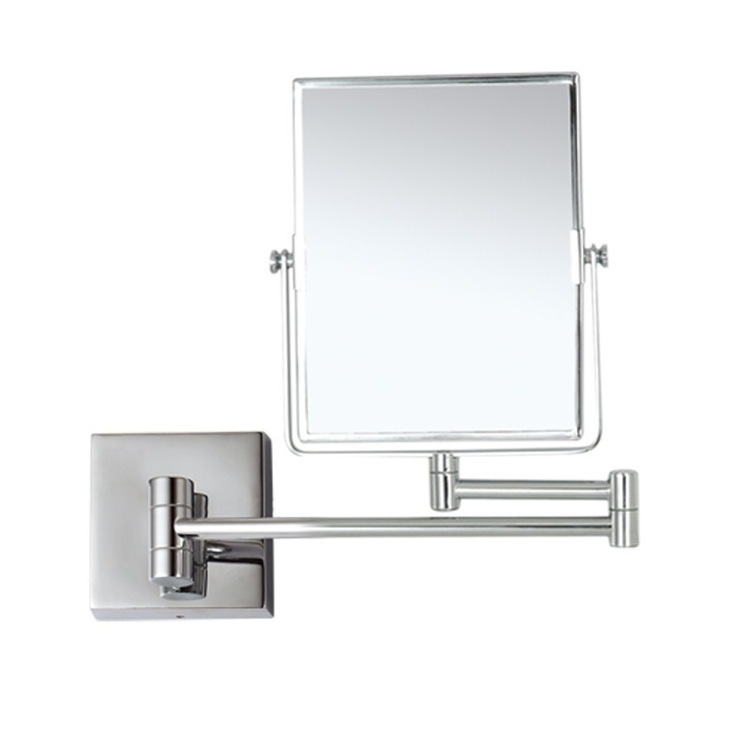 This beautiful rectangular makeup mirror is made of high-quality brass and comes in three possible finishes, chrome, satin nickel, and matte black. 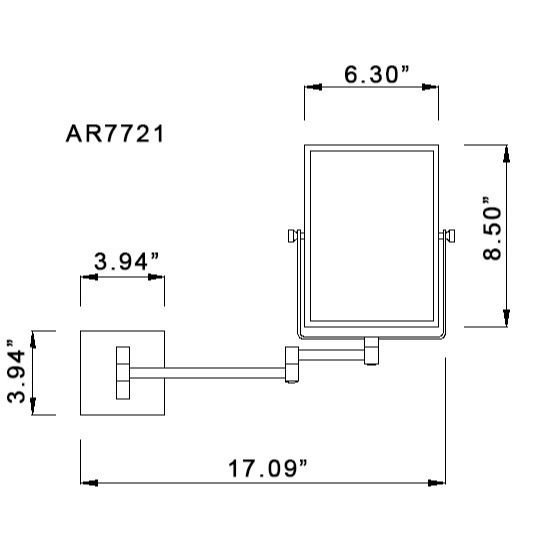 Available for wall mounting, it features a double face and either 3x or 5x magnification. The 6.3" x 8.5" face is shaped into a sleek rectangular shape. With its extendable double arm, it can be positioned perfectly for your needs. Perfectly suited for any contemporary bathroom.